What do I need to eat to run faster? The first sports nutrition program in Afghanistan. Lisa Littrell, a Registered Dietitian with a Masters of Public Health, visited our team in Afghanistan for an in-depth training on the fundamentals of nutrition. Half of our Community Development Leaders and 100% of our Program Officers were taught how to deliver a nutrition program. In turn, they will deliver the same program in 12 provincial high schools across Afghanistan. This ground-breaking initiative was supported by the Embassy of Canada's CFLI. Read Lisa’s first-hand account where she answered the question, “What do I need to eat to run faster,” plus many more! I’ve always been an active person, participating in various sports throughout the years, but running was never one of them. I hated running. I put a marathon on my bucket list because it seemed impossibly hard. I tucked it away as a challenge that I’d someday consider fulfilling. That day came sooner than I thought. In 2016, I began training for my first marathon. Before I had even completed the first one, I’d already signed up for an ultra-marathon, ready to tackle an even bigger challenge because somewhere in the struggle of training for that marathon, I found my strength. That strength translated directly to my personal life and I found myself becoming more confident, taking risks, and resolving conflict with positive outcomes. I found an even bigger source of strength when I began running with a local women’s group. Being able to train with like-minded women was a game changer. I not only had training partners, I had sisters. They picked me up when I wanted to quit, cried with me when I didn’t meet a goal, and celebrated with me when I succeeded. I saw the great things that happen when women support women, and it became a personal mission of mine to empower other women like I had been empowered. When I first heard about Free to Run from a friend I thought, Wow! This is exactly what I’ve been looking for - an organization that focuses on women and combines my passions for community building and sports. My instant reaction was: yes! I need to be a part of this. …using adventure sports to support women and girls living in areas of conflict to build their physical, emotion and social well-being; developing them into community leaders... I immediately reached out to Free to Run. I was able to get in contact with the Executive Director and we spoke about the vision of the organization, how they’ve grown and where they’re headed, and how they wanted to add a nutrition component to their program. Being a Registered Dietitian, I knew this was an area of expertise that I could offer and I eagerly agreed to help. I began working remotely in a voluntary capacity to pilot a curriculum that consisted of sports and nutrition lessons and would be taught in conjunction with group runs. 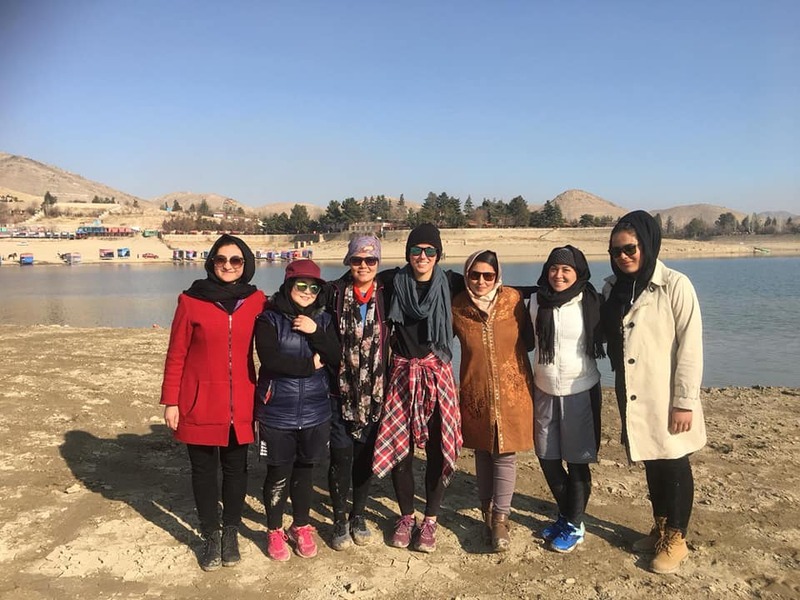 Approximately 70 young women and girls in Kabul participated in this pilot and by the end of the program, all reported positive dietary changes as a result of what they learned. However, every success shows an area of improvement and we realized that the curriculum needed to be broken down into smaller, more digestible units. Such a task would require more time and money, and thankfully not long after this initial pilot program, Free to Run was awarded a grant for Local Initiatives from the Canadian Embassy. These additional funds gave us the resources that we needed to implement these improvements. The expanded program revised the nutrition curriculum from 4 general lessons to 12 fine-tuned lessons, and was strategically planned to reach 3 local high schools from 4 different provinces, totalling 120 new female participants and 24 Free to Run alumni. The alumni, participants from past program years, had now volunteered to step into the role of Community Development Leader (CDLs), and would be in charge of teaching the revised nutrition curriculum to the new program participants once a week after the group run. Having written and revised the nutrition curriculum from a remote location, the Executive Director asked if I would be willing to come to Afghanistan for two weeks to train the CDLs and Program Officers (POs) on the revised nutrition curriculum. I had no idea that the initial pilot project would grow the way it did, and I was ecstatic when the opportunity was offered to work with the girls that I had been learning so much about. I counted down the days to take-off. Arriving in Kabul on a cold December morning, I was ready. I had prepared for this day for months; I knew where I was and I knew what to expect…or so I thought. The reality of Afghanistan and the challenges that women face instantly hit me. That moment of realization dictated every move from that point on. Safety was the number one priority, keeping the girls and the employees safe while successfully executing the mission of Free to Run. With this topic always at the forefront, I expected the group runs to be full of hushed voices and in secluded locations. To my surprise, on the morning of our first group run, a van pulled up, music bumping, and all of the girls were singing and clapping their hands. Seeing the enormous smiles on their faces, a revelation hit me. Girls are girls. No matter what. Across all nations and all borders, regardless of race or religion, women are confident, charismatic creatures eager for opportunity and being told ‘no you can’t’ only fuels the fire under their feet. Despite safety still being the number one concern, this revelation set the stage for the rest of my time in Afghanistan. As I began training the POs and CDLs on the revised nutrition curriculum, I saw that there was a significant need for reliable resources and a sincere desire for knowledge and truth. Many of them had run at least one marathon, some had run ultra-marathons, and all of them wanted to know, “What do I need to eat to run faster.” They knew without doubt that there was a close connection between what we feed our bodies and how well our bodies performed, and they were eager to find out what exactly what those connections are. We discussed macro and micro nutrients, fruits and vegetables, and making healthy choices. More specifically, we discussed race nutrition and the importance of hydration during training and on race day. Many of them would recall specific moments in their training or in their races, and asked if proper nutrition and hydration could have affected that experience to be different then what it was. These intelligent young women had a deep thirst for knowledge. Every time I gave an answer, it seemed as though the rebuttal was always, “But why? Why is it like that? How does that work?” Before I knew it, I was opening up my college textbooks for diagrams on fluid balance and interstitial spaces, drawing arrows in various colors as I explained the osmotic gradient and the electric charges of each electrolyte. We would sit for hours, deep in discussion, forgetting about the allotted time. The more we talked, the more they wanted to know. They had never had access to information like this before, and it incited a passion within them. I had an interesting conversation with an Afghan official soon after the training concluded who stated that the government had not been able to do its due diligence in the area of nutrition education, that very few programs were addressing the issue, and that those that existed were fragmented and working independently of each other. “Wow! This country has very few programs for nutrition and needs to have more, but in sports nutrition? And for women? No one else is doing this. I would like to learn more about this Free to Run project,” he said as we exchanged contact information and parted ways. This conversation confirmed my reflections on training the POs and CDLs; more reliable resources, training tools, and guidance in the area of nutrition are needed across all sectors of life, but particularly in the area of sports. Free to Run saw this need and is actively addressing it, but there is still so much more to be done. As the weeks progressed, I began to know the girls on a more personal level. Their stories, their challenges, their victories, their hopes and their dreams. At dinner one night, I conversed with the first Afghan woman to complete an ultra-marathon through Free to Run’s training program. 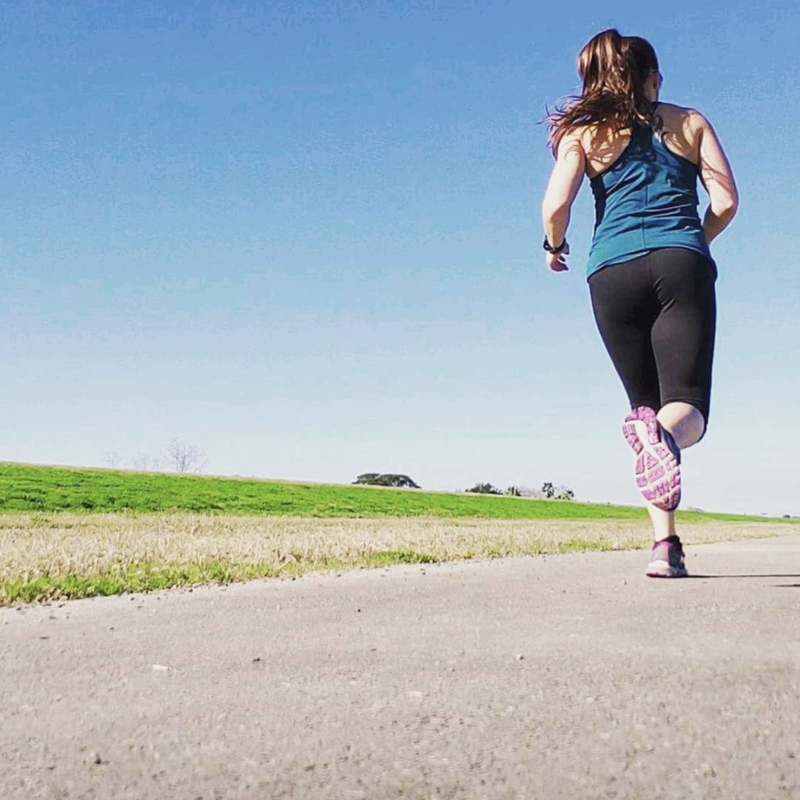 She explained to me that Free to Run brought running to her, and that running gave her the confidence to stand tall and believe in herself, and to go after what she truly wanted in life. That young women is now in medical school fulfilling her dream to become a doctor. Another young woman, a Free to Run PO and former participant, eagerly shared with me over lunch that she had a job interview that afternoon. She was excited because it was a position she really wanted and she was finally on track to graduate, with two degrees, after a 7 month delay when her University was bombed. She had just recently joined Free to Run when that attack had occurred, and shared that the program’s activities kept her hope alive that one day she would be able to complete her education and accomplish her goals. It was clear that the young women in this program had a fire, a deep desire to succeed and to defy the odds. Their fearlessness was evident in their life choices. 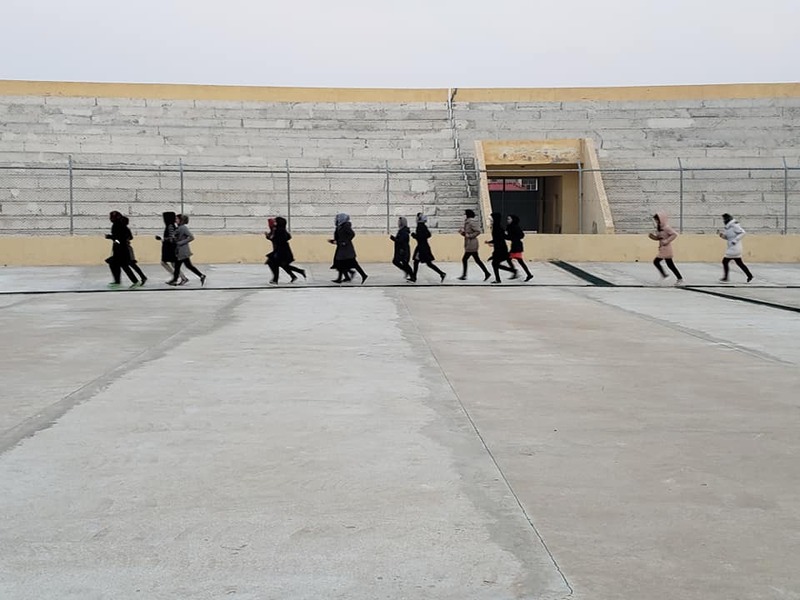 My hope is that Free to Run will continue to expand to more provinces, being able to bring education, life skills, and the empowerment of sports to more young women because as the young lady said, “bringing it to the women,” changes the community, and someday the world. I left Afghanistan with a new fire in my heart. I had just had the privilege of connecting with the girls who are going to change history and lead the way for future generations, and I cannot wait to see the day that happens.